The Legacy: Forgotten Gates Collector's Edition is rated 4.1 out of 5 by 43. Rated 5 out of 5 by SUE3301 from All you could wish for This is the best game I have played in a long time. I highly recommend the CE version since it has everything you could possibly want. Each scene (including the bonus game) has a Collectible from one of 5 different categories: Pyramids, Statuettes, Skulls, Stone Heads, and Clay Flasks. The best part IMHO is that your map tells you when you have missed a collectible or a morphing objet. I have so often been frustrated when I get to the end of a game and discover I have missed one or two collectibles or morphing objects. On top of all this are the best graphics I have seen in recent games (I was getting tired of all the dark, blurry backgrounds that made it hard for these old eyes to see anything). And for the final touch, as I am also a jigsaw puzzle fan, I loved that you have a lot of them in the bonus content. 5-BN is my new favorite developer and will be yours as well if you buy this game. Rated 5 out of 5 by charlene_lane from I LOVE THIS DEVELOPER - EXCELLENT ADVENTURE This game is awesome. There is so much to do and plenty of places to visit. There is: * Voiceovers (with dialogue); * Casual, Advanced, Hard and Customer modes of play (you can turn off Hint and Skip to make it harder); * 21 Achievements; * Diary; * Interactive map; * Find 30 morphing objects; * Find 42 collection items. The graphics are very good and everywhere is clear to see. Sound is good and the music is gorgeous which I had on very loud (as is usual). 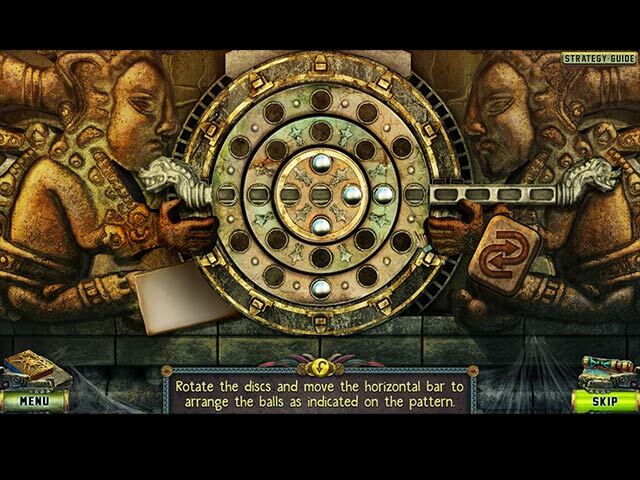 The hidden object games are all highly interactive silhouette - find one item to use to find another, etc. These are not hard but they still take a bit of time to do. I enjoyed them. There are a good variety of mini-games to play which had a great challenge. Some took me ages to do. The answers to some of the mini-games and other important things you will need is in your diary. So if you get stuck, just check in there. This game is quite mechanical whereby you will be building things and are often looking for and using items of a mechanical nature. There are lots of tiles and runes to find as well. Throughout each scene there is one morphing object and a collectible to find. I did these first so I wouldn't forget about them. However, if you don't feel like looking for them, then you can do them in the Extras. Getting all 21 Achievements is going to be a mission. I got 18, so somewhere down the track I'll play it again and try and get them all. All up the game and bonus took me around 9 hours or so. The bonus is quite long too. You can probably do this in much less time, but I didn't use the interactive map and relied on my memory (no wonder it took ages!). I find that I remember places and where items are better if I don't use it much. Overall, a great game and well done to the developers. I have all their games and often play them again a second time. Definitely comes recommended. Rated 5 out of 5 by SparkleGlow100 from Red, rocky desert, temple-building culture and which planet are we on? Find out 2017 game. Are humans/humanoids a species of intelligent life serving another more dominant existence? Who are these beings? Where is everyone? What happened? When a game is this good...it's almost more difficult writing a review, because nothing quite adequately matches the magnificence of the game! Hills, mountains and plateaus of rock will greet you wherever you go. Roam the country-side, homesteads and Mayan temple-like structures. Great perspectives! Wonderful, spacious, detailed graphics. So much time and care has been taken over getting scenery, backgrounds, and story to look and feel right. But where are you? I see two moons/planets in the sky! Music enhances the effect of having large areas to roam around in. Non-stop sound effects, with depth to them. Perhaps if you're looking for a modern setting, hi-tech, or fast-moving game with rapid action, it may not be your cup of tea. STORY - Story unfolds throughout the game at intervals, so that you are constantly made aware of new information. Lots of notes to find. Relaxing and lots to see. At any point you can return to any scene in the game. There are chapters, but you aren't restricted to those areas only. You'll return to earlier scenes to complete them. Kept me on my toes. GRAPHICS – Adjustable resolution to 1600 x 900. Widescreen/Fullscreen. HOPS – 8 with 3 more in the bonus. PUZZLES: All skippable. SOUNDS - with 4 adjustments. Pleasant, appropriate and atmospheric. Music is suitable and totally separate. Great atmospheric music: pipes, drums and synth, percussion sounds. Bird song everywhere. MAP: TRAVEL with useful indicators JOURNAL: YES. Lots of notes to find to advance your knowledge of current and previous events! DIFFICULTY SETTINGS - 4 interchangeable HINT: Guides and leads INVENTORY - lockable CHARACTERS: Dignified and believable characters when you do meet, that need your help. I played this game over 2 or 3 sessions, because I wanted to thoroughly enjoy it and the bonus game! Not a game to be rushed. Rated 5 out of 5 by TheRealMagicJack from Loved the Atmosphere This game was a fun experience. I loved the Mayan influence and the music. Even on 'hard' mode, I burned right through it. So, it wasn't the most challenging of games. It was however, a welcome change in atmosphere and quite enjoyable. Highly recommended for any casual gamer. Rated 5 out of 5 by kadiseidel from Be the first A very nice game - lovingly designed. Rated 5 out of 5 by skullfun from ~~~FIVE-BN GAMES DELIVERS ONE OF THE BEST IN 2017~~~ Congratulations Five-BN on this engaging endeavor. This development team is the creative force behind the incredible Lost Land Series and New York Stories. 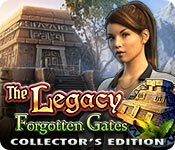 The Legacy: Forgotten Gates Collector's Edition is a wonderful adventure to a different world and an interesting culture. It should be considered a well-established fact that strange things happen in museums at night. We know it from the movies and games now. You play the role of Diana who finds herself staying late at this museum and you start hearing some unusual noises. Unlike the stories where the museum exhibits come to life in our world, you get sucked through a portal into a different world. 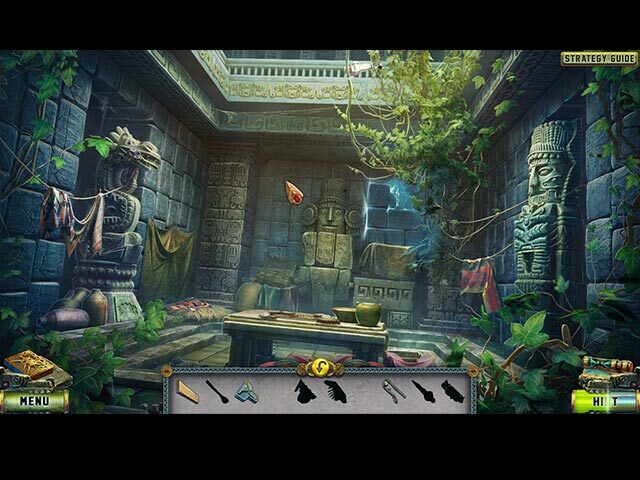 What sounds like a great adventure that can enlarge your knowledge of the Mayan culture, turns into a challenge to find the way back to your time and world. You see, the portal that brought you into this new world got destroyed and you don't really know how to get back home. Shaash the Gatekeeper is the one who can help you find a way back, but it's going to take a lot on your part. Prepare for a REAL adventure! Since you get into the world very similar to the Mayan civilization, most of your locations are going to be lush nature scenes or some ancient ritualistic temples. The visuals are hands down some of the best I have seen in the industry; gorgeous scenery, dimensional graphics, mind-blowing cut-scenes for instance. The soundtracks are just as impressive, and the voice over is great. The game features four modes of play: Casual, Advanced, Hard, and Custom. The hints and skips can be adjustable from 5 to 90 seconds and from 5-150 seconds accordingly. The game provides a map and a strategy guide for you as you play. It is not just the game's story that is an adventure, it is also the gameplay part, too. The story flows smoothly challenging you with quite a number of collectibles, achievements, and puzzles, but not so many hidden object scenes. The collectibles include Mayan culture artifacts, like pyramids, scrolls, deity statues, skulls etc... Then you also have to find 30 morphing objects. There are quite a few puzzles that vary in design. Most of them are not very difficult. 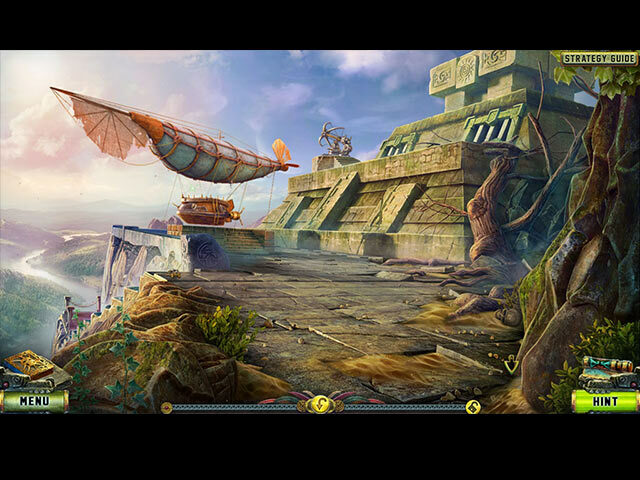 Both hidden object scenes and puzzles are up for replay. This is an easy 4.5 or 5 star rating to what promises to be an incredible NEW series for this amazing creative team. I look forward to see more releases from these brilliant adventure creators. Recommend for gamers of every level. Cheers! Rated 5 out of 5 by Poodlebear from LOVED this! All the check boxes checked for me on this game: Great, clear, colorful graphics, unique in style. All HO scenes interactive only, not lists of stuff to find. Most inventory puzzles logical - not intricate locks hiding a paper clip or something that wouldn't be behind an intricate lock. No throwing away of a useful object after one use! YAY! I get to keep my machete AND it cuts all the things! :D Interesting story line that promises more. Yes, please. NO glitching! I've had tons of issues with jerky mouse movement or games just not working well since I went to Windows 10. Mostly I just play through it, when I can. This was smooooth as silk. Good voice acting! Even the Bonus chapter was good. O.O Whaaaaa...? So yep, loved this game.